KABUL, Afghanistan – For 49 years, a traumatic childbirth injury left Noorjahan living in the shadows. A prolonged, obstructed labour, and lack of emergency maternal health care, left her with an obstetric fistula – a hole in the birth canal that leaks urine or faeces. Like other women with this condition, Noorjahan was isolated from her community. For decades, she hid in a single room, where she sewed to earn a living. Three times a day, she cleaned her mattress and searched for plastic bags to tie around her like diapers. But one day she heard a rumour that treatment was available. She travelled from her faraway village to Kabul, the capital. There, Noorjahan wandered the streets for four days before finding the Malalai Maternity Hospital, one of the few places in Afghanistan where women can receive free emergency obstetric care and fistula surgery. Noorjahan was one of seven women recovering in the hospital’s fistula ward, which receives support from UNFPA and the Ministry of Public Health. Throughout their stay, she and the other survivors were visited by former patients returning for check-ups. Like veterans of war, they shared a silent understanding of the trauma they had endured – years of exclusion from society, abandonment by husbands and families, chronic medical problems, and deepening poverty. Fistula survivors are some of the most marginalized women in the world. They tend to live in extreme poverty, in remote areas without the basic emergency care needed to treat an obstructed labour. Impoverished girls are even more vulnerable: The risk of fistula is heightened for child brides, who often become pregnant before their bodies are ready. Guldesta, from the distant region of Pul-e Khumri, is one such fistula veteran. She married at age 12 and had a son at 13. She had two daughters, then several miscarriages, and a labour that ended with an obstetric fistula. She lived with the injury for years until her surgery at Malalai Hospital. Now, she has made it her duty to educate others about the condition, starting with her own family. “People have told me not to take my daughter or daughter-in-law to a hospital when she is about to give birth, but I have never listened to them. I have seen so many problems and difficulties of fistula,” she said. Midwives, nurses and doctors are essential to treating and preventing fistula and other reproductive health conditions. But there are not enough of them. 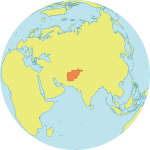 According to the 2014 State of the World’s Midwifery report, nearly 80 per cent of Afghanistan’s need for maternal health professionals remains unmet. To make matters even more complicated, cultural prohibitions prevent many women from receiving care from male health workers. “Women wouldn’t be allowed to come to the hospital if there were male doctors,” said Dr. Nazifa Hamrah, 51, a fistula surgeon at Malalai Hospital. Her hospital is something of a rarity, as it is staffed by female surgeons. “All of my colleagues are women,” she said. 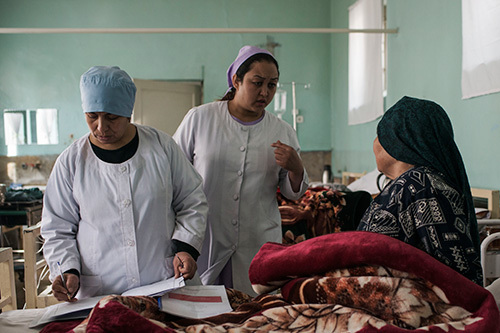 UNFPA supports the training of female doctors and midwives throughout Afghanistan, and particularly in rural areas, where women face the steepest hurdles in accessing reproductive health care. Midwives provide not only essential care, but also educate communities about women’s health needs and the harms of child marriage. For Noorjahan, access to care has been life changing. Days after her fistula surgery, she smiled as she explained what it means for her.